I’m moving to greener pastures – is this houston? 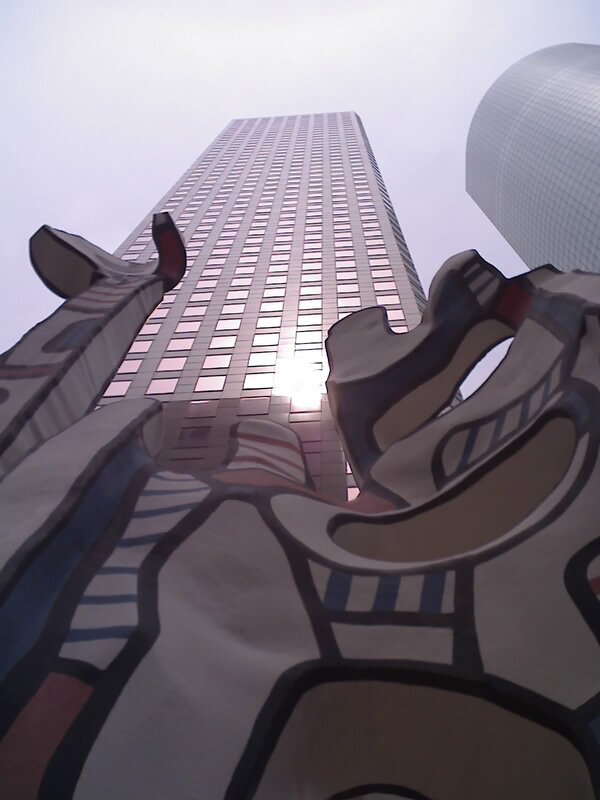 Renowned French painter and sculptor Jean Dubuffet’s (1901-1985) “Monument Au Fantome” will find a new home at Houston’s downtown park, Discovery Green. The distinctive and privately-owned sculpture was donated by Fantome Tower L.P., the owner of the downtown office building at 1100 Louisiana, to the Discovery Green Conservancy, a gift valued at well over $1,000,000. The seven-piece black, red, white and blue sculpture will move from its current location at 1100 Louisiana to undergo conservation work. In late 2007, the sculpture will be moved to Discovery Green and will be available for all to enjoy upon the opening of the park in early 2008.